Their products are available through an extensive network of gift stores, garden centers, department stores, corporate catalogs, and direct marketing companies across Australia and New Zealand. They are inspired and passionate about quality and their products demonstrate the highest standards in design and manufacture. Established in 1997, Quality Products has introduced exceptional products and brands that lead the market rather than follow or copy. The website was disconnected from inventory, not integrated to the accounting system, could only serve B2C orders, and created duplication issues across customers, products, images, orders, and pricing. Printed order books used at trade shows had no visibility of stock levels, orders, or incoming shipments and were generally illegible when different people tried to quickly write down customer orders or capture lead information. Quality does matter while without Efficiency, it’s losing its Edges! or schedule a demo with our business advisors. 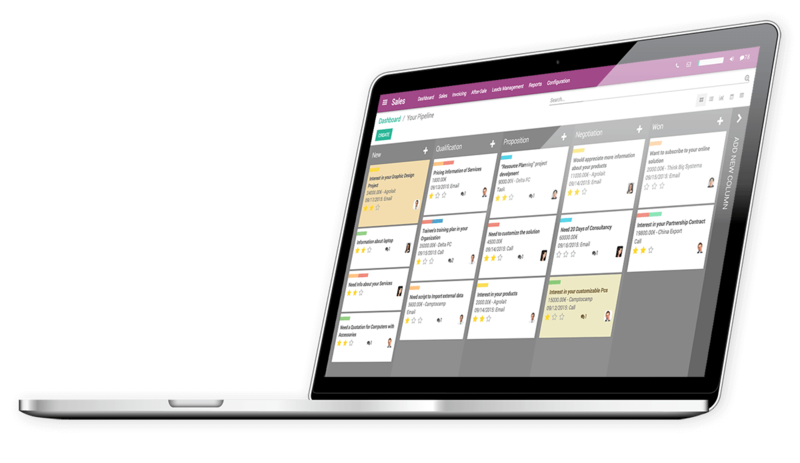 Odoo Mass Mailing is integrated so that you can filter and target specific customer segments with a ‘Newsletter’ produced with user-friendly drag and drop elements. Specific information on the reception of the newsletter is available as well as being able to include in a broader campaign. "It would have easily cost around $250,000 to deliver similar capability from a commercial mega-vendor or integrate across a number of different systems, that Odoo provides at a fraction of the cost in one platform." The most noticeable impact from a revenue and cash flow perspective is the incredible shortening of the sales cycle. What once took weeks of mailing out catalogs and pricing sheets to receiving an order is now done in minutes. A potential supplier can now provide information online and Quality Products sets them up in their system and give them access to the Odoo portal which allows them to view all of the products at the appropriate pricing and purchase and pay online. The integrated website allows Customers to see what’s available and shop at their convenience while the business can operate from a single, easy to use, system which offers the processes, capabilities, and scalability typically only available to large corporates. It does add substantial value to sales and profits gaining.